BANGALORE, 29th September, 2010: Beginning October 3, Suvarna Channel will telecast a new programme, Maja with Sruja.” This one-hour show of non-stop laugh riot adds a new dimension to humor. 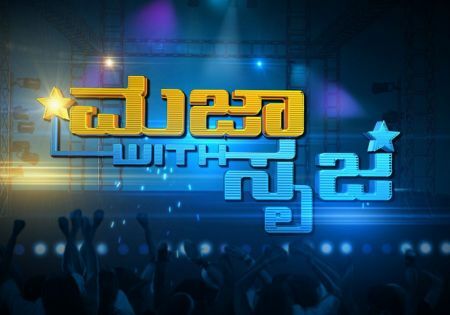 This show is anchored by the popular Srujana Lokesh, the main attraction of the programme. The show will be telecast every Sunday at 9.30 pm. The main agenda of the show is to make the viewers enjoy and relax for one full hour during the weekend with a one of its kind show. The anchor Srujana will be accompanied by Paddakka. 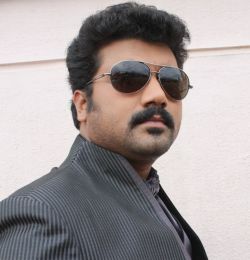 Although not present at the sets, Paddakka plays an important role in running the show. Sruja has his own take on everyday happenings and recent events. His out-of-the-box thinking will be backbone of the show. “Srujan anchored many programs on Suvarna in the past, and we know his sense and his way of looking at the happenings, we would be capitalizing on his talent to deliver this non-stop comedy to the viewers” says Suvarna Channel’s Non-fiction head Raghavendra. The programme also includes the presence of celebrities with whom there will be open-hearted talk in a lighter vein. “Instead of sulking, we should learn to see all issues in a humorous way. All subjects are seen in a lighter vein in this programme”, adds Srujan Lokesh. Maja with Sruja will be telecast on Suvarna every Sunday at 9:30PM starting October 3rd, 2010.